Retired veterans returning to the NFL is the hottest thing in football, especially after Jason Witten surprised everyone last month when he announced he would be ending his one-year retirement and resuming his career with the Dallas Cowboys. According to ESPN’s Adam Schefter, an unknown NFL team tried to jump on that retired player bandwagon at Clemson’s Pro Day on Thursday and live their own version of the Witten story. Being asked to return to the NFL must have been a huge and unexpected ego boost for J.P. Losman. He retired just over seven years ago, and has spent the last two years working with college players at Clemson. 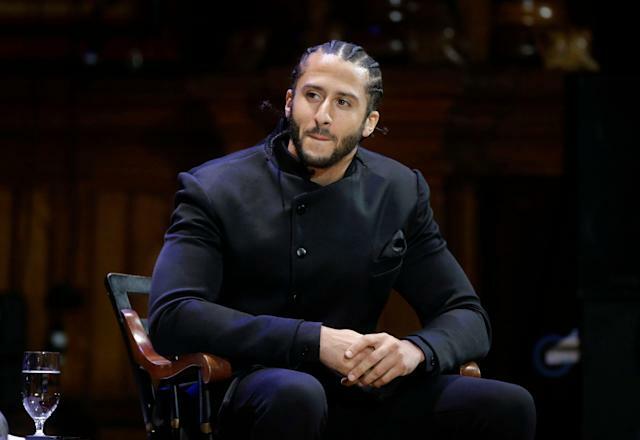 And while it’s nice for Losman (who declined the unknown team’s invitation), it’s hard not to notice that an NFL team would rather ask a 38-year-old retired quarterback who hasn’t thrown a pass in a pro game in seven years to play for them than ask Colin Kaepernick to even come to a meeting to discuss possibly restarting his playing career. Kaepernick is 31, seven years younger than Losman. He’s just two seasons removed from his last NFL game, five fewer than Losman. Kaepernick had a far more successful career over six seasons than Losman did over seven, even taking his team to the Super Bowl. Those facts alone make it clear that Kaepernick would be a better choice for a team with a quarterback quandary. But it’s not really about facts. Or those facts, at least. It’s about Kaepernick kneeling during the national anthem, exercising his right to protest social and criminal injustice. As long as NFL teams (and team owners) continue to care about that more than they care about making their teams better, every retired quarterback age 40 or younger will get a call before Kaepernick gets one. But hey, why stop at 40? Anyone know what Brett Favre is up to these days?